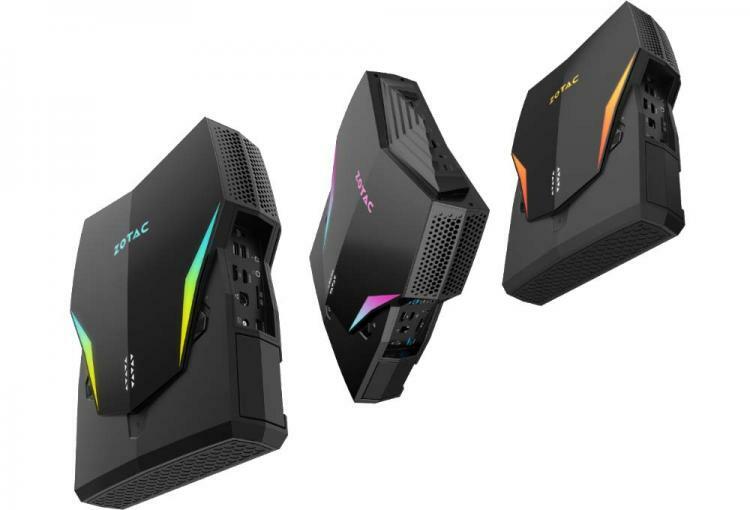 ZOTAC releases an updated version of the VR GO backpack PC that was first released in 2016. The next-generation VR GO 2.0 Backpack PC is powered by the 8th generation Intel Core i7-8700T processor and an NVIDIA GeForce GTX 1070 graphics with 16GB of DDR4 memory. Like the previous generations, the VR GO 2.0 features centralised ports and top mounted I/O ports to easily connect VR HMD device. The ZOTAC VR GO 2.0 is built to deliver ultra-smooth VR gaming experience. The VR GO 2.0 also features the SPECTRA 2.0 Lighting that powers the gaming backpack PC’s addressable RGB LEDs. The ZOTAC VR GO 2.0 packs high-performance components to deliver smooth VR gaming experiences. The backpack PC is also designed to be comfortable for uninterrupted VR gaming. It has even weight distribution and added foam padding. Ventilation is designed to sit further back to repel heat away from the user. It also features hot-swappable batteries and external charging dock offering up to 1.5 hours of battery life. The VR GO 2.0 features the next-gen SPECTRA 2.0 Lighting equipped with more powerful addressable LEDs. The colours are more fine-tuned and the transitions buttery smooth, and SPECTRA 2.0 enables a unique visuals that can be seen from afar. No information on pricing and availability as of this writing. 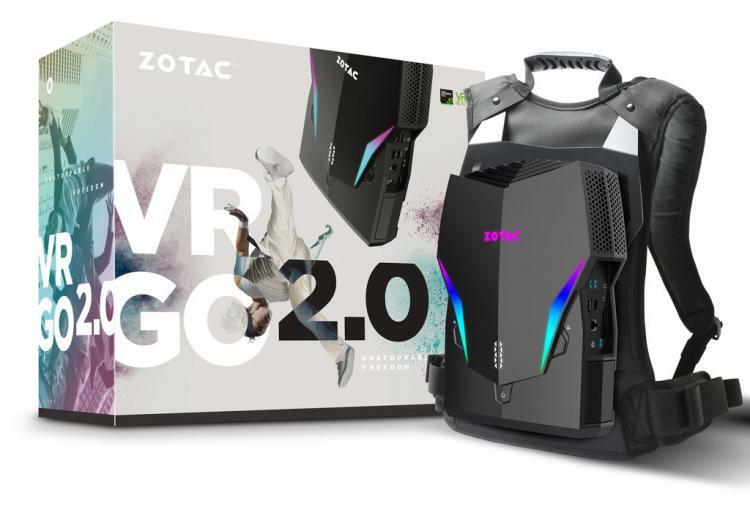 Learn more about the ZOTAC VR GO 2.0 Backpack PC here.